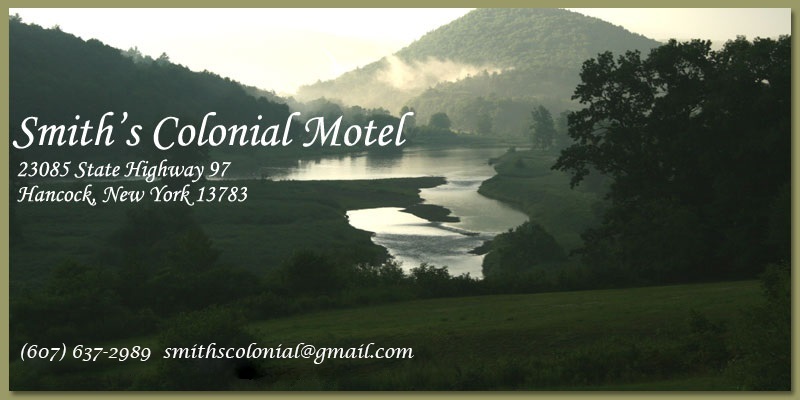 Welcome to Smith's Colonial Motel located alongside the beautiful Delaware River in the foothills of the Catskill Mountains. Our motel offers clean comfortable rooms in a quiet country setting. Each room overlooks the Delaware River and Point Mountain, where the East Branch and the West Branch of the Delaware come together. Whether your stay is business, pleasure or both, you'll enjoy your stay at Smith's Colonial Motel.